This section invites a large spectrum of contributions in the areas of human and veterinary vaccines and molecular therapeutics against well-known and emerging pathogens that challenge human or animal health. We welcome articles on the development and evaluation of vaccines and molecular therapeutics against viral, bacterial and parasitic infections, including biodefense agents, neglected diseases, wildlife pathogens, and aquaculture/fish pathogens. This section invites a large spectrum of contributions in the areas of human and veterinary vaccines and molecular therapeutics against well-known and emerging pathogens that challenge human or animal health. Topics of interest range from discovery science to pre-clinical research and development and clinical evaluation, with an emphasis on new tools and innovative concepts in prophyactic or therapeutic vaccination. We welcome articles on the development and evaluation of vaccines and molecular therapeutics against viral, bacterial and parasitic infections, including biodefense agents, neglected diseases, wildlife pathogens, and aquaculture/fish pathogens. The scope of the section covers vaccine engineering, design, formulation, adjuvants, delivery and testing, as well as novel approaches to the discovery and characterization of antigens or small molecules that may be the foundation for novel therapeutics, and the associated immunological evaluation. Vaccines and molecular therapeutics have evolved considerably over the last few decades, with some outstanding successes but also with many disappointing results. The challenges posed by complex and evolving pathogens, and poorly understood host-pathogen interactions; the failure for many pathogens of traditional vaccine approaches; the speed of dissemination and transmission of existing and emerging pathogens; the need for rapid vaccine development, evaluation and approval in outbreak situations; the increasing threshold for vaccines safety; the potential offered by high dimensional omic-based technoliges; and the explosion of science around the discovery and application of small molecules in a therapeutic setting; have revolutionized the field of prophyactic or therapeutic vaccination and small molecule therapies. The goal of Vaccines and Molecular Therapeutics is to present technological and conceptual advances, and challenge dogma, in all fundamental and translational aspects of vaccines and molecular therapeutics. 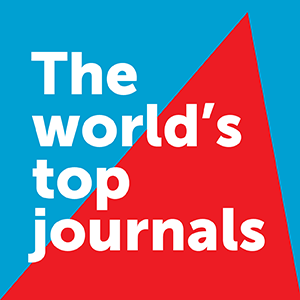 To maximize options for disseminating your work, multiple article types are accepted for submission to this journal, including original research, methods articles, protocols, technology reports, reviews, perspectives, hypothesis and theory articles, and opinion articles. We encourage the free discussion and exposure of conflicting results, new concepts and hypotheses.